Following countless years of diligent effort from the PeoPo Citizen Journalism Platform (www.peopo.org), the number of citizen journalists affiliated with the platform now stands at 8,023, yielding 96,973 reports. With sixty percent of visits to the PeoPo platform coming from social media, strengthening social media applications and creating a friendly environment for mobile devices is of crucial importance. To this end, PTS has created a new interface to facilitate more convenience in posting reports from mobile devices, uploading videos, and browsing the website. Regardless of the type of device used, text, photos, and video reports can now be published directly at the news scene, ensuring timeliness of news stories. This opens the way for ease of connection between different social groups, assuring that the power of dissemination can be quickly engaged through mobile devices. PeoPo has strengthened cooperation with NPOs and NGOs to help the production of citizen journalism video take root. For example, in cooperation with ‘The Frontier Foundation’, disability organizations were invited to tell their own stories using film to present the related issues and content. 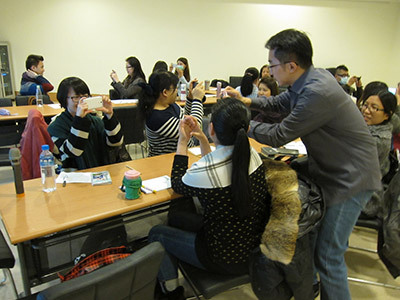 Furthermore, in partnership with ‘The Wilderness Conservation Association’, workshops were organized at its branches in the north, central, south and east of the country, where participants attended inspections of the local environment and exchanged filming and editing skills. This year, the platform has also facilitated closer contact between citizen journalists and students, thereby strengthening interaction and dialogue. At the same time, the platform has continued to operate the PeoPo Weekly Review service, in which a number of citizen journalist reports are translated into English each week. 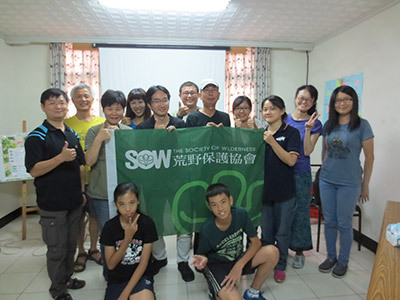 This guarantees that local stories from around Taiwan have access to communities worldwide and that the development of Taiwan’s citizen journalism gains international exposure.